I wanted to like Urban Fantasy. I really did. I read a lot of High Fantasy as a kid. Terry Brooks. David Eddings. Ray Feist. Lots of Dragonlance. But once you’ve read one old-school fantasy epic–especially if that one is Lord of the Rings–you’ve kind of read them all. Urban fantasy promised to do something different, to bring that sword and sorcery feel to the world I lived in. I desperately wanted to enjoy this new genre. Jim Butcher? I gave up three chapters into the first book of the Dresden Files. Nancy Collins, who I remembered fondly from her Sonja Blue days? I barely made it off the first page of her opening Golgotham novel. Mike Carey, whose Felix Castor books feature strong horror elements and came recommended by no less an authority than Pseduopod’s Alasdair Stuart? No dice. I couldn’t get into any of them. Not that there weren’t some successes. I read Sergei Lukyanenko’s Nightwatch series until it became obvious that it was never going to end while there was a ruble to be made. I loved Liz Williams’ Detective Inspector Chen books, another Stuart recommendation, which introduced me to entire pantheons of Eastern mythology as well as some thoroughly charming characters. I even made it through The City & The City by China Mieville, a writer whose near-toxic levels of weirdness have put me off on more than one occasion. Only recently did I put together what all these successes have in common. 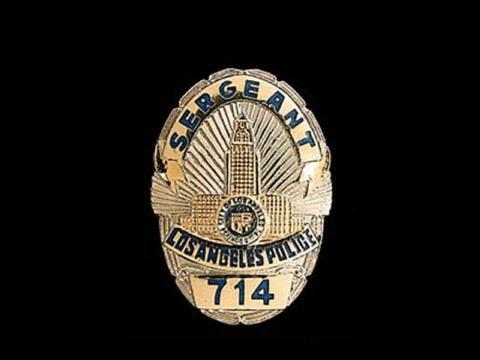 They’re all about cops. Yup, no mater how many grief-stricken vampires, mad feng-shui goddesses, or overlapping city-states they contain, deep down in their DNA, these are good old-fashioned police procedurals. Armed with this realization, I went prospecting for new things to read. This time, I struck gold. You’ve got to love any cop novel that begins, “This is the city–Scranton, Pennsylvania.” And that’s just how Hard Spell by Justin Gustainis begins. Detective Stan Markowski of the Occult Crimes Unit introduces us to city with some serious supernatural issues. Meth addicted goblins. Cultists who summon real demons. A stone cold killer searching for a forbidden tome. All of which is great fun, but it’s Markowski’s matter-of-fact, world weary delivery that gets to me. True to his cop novel roots, Markowski even has a troubled relationship with his daughter to give the book some emotional heft. Let’s just say he doesn’t approve of her lifestyle. Hard Spell and its sequel, Evil Dark, are published by Angry Robot, and can be had either as a mass market paperback or as an ebook. The third in the series, Known Devil, is due out next April. You have to ignore the slightly menacing silhouette on the jacket of Midnight Riot by Ben Aaronovitch. Either Del Rey wants to make the book look edgier than it actually is, or they don’t want the prospective reader to know that the protagonist, Peter Grant, is a mixed race black man. (Think I’m joking? Read this fascinating study by Kate Hart.) 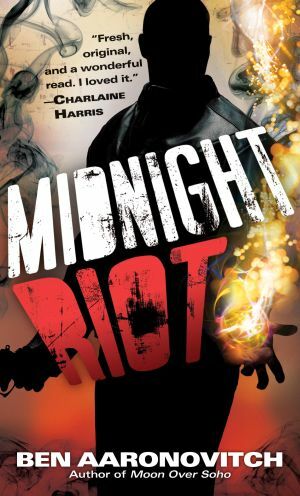 Edgy or not, Midnight Riot is hands down the most fun I’ve had with a book this year. Grant, a provisional Police Constable with the London Met, is about to be sidelined into a desk job when he meets an unusual witness to an assault–a ghost. In short order, PC Grant finds himself literally apprenticed to Detective Chief Inspection Nightingale, a one man unit within the Met charged with keeping the peace in London’s supernatural community. Once again, it’s the first person narrative that is the real joy here. Grant is curious and clever, but terminally unobservant. He peppers the narrative with jokes, but is capable of conveying real horror when appropriate. Aaronovitch, by the way, is the writer of the classic Doctor Who TV scripts for Remembrance the Daleks and Battlefield. For some people, that’ll be recommendation enough. Midnight Riot has two sequels, Moon Over Soho and the just published Whispers Under Ground. This entry was posted on September 21, 2012 at 5:38 am and is filed under Book Review with tags Ben Aaronovitch, Classic Who, Justin Gustainis, Karma Police, Mashup Novels, Urban Fantasy. You can follow any responses to this entry through the RSS 2.0 feed. You can leave a response, or trackback from your own site.